VeriFone Vx 670 - Payment Device (4MF/2M, Wi-Fi). Requires key injection in order to accept debit or credit card payments. Please call for more information. The VeriFone Vx 670 is the world's smallest all-in-one wireless handheld payment device. Built with purpose-inspired design - with the end user in mind - the Vx 670 is a radical revolution at hand. 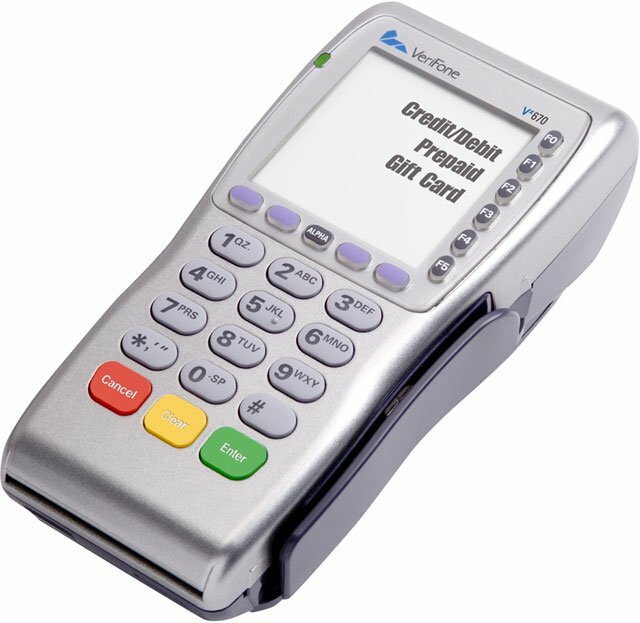 The PCI PED approved Vx 670 is a small, sleek, and secure handheld payment device designed specifically for wireless, customer-facing payment. VeriFone's patent-pending MAXui design provides the largest user interface in the smallest form factor with a large, white backlit display and large blue backlit keys. In addition, its purpose inspired design - focused on real world usage - is rugged, drop-resistant, and spill-resistant to hold up to the most demanding conditions. The VeriFone M267-012-11-USA is also known as VFN-M267-012-11-USA	or M26701211USA	.